Have you seen the BIG announcement from two pretty poppets? 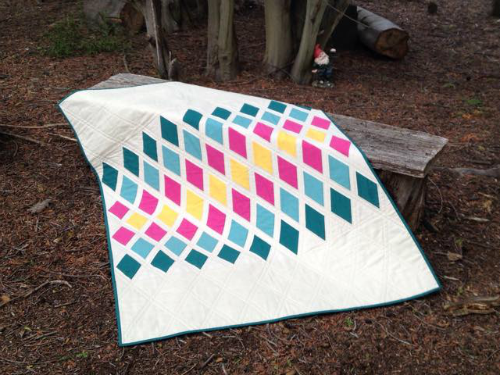 Lisa has just released her latest pattern and it's a beauty. 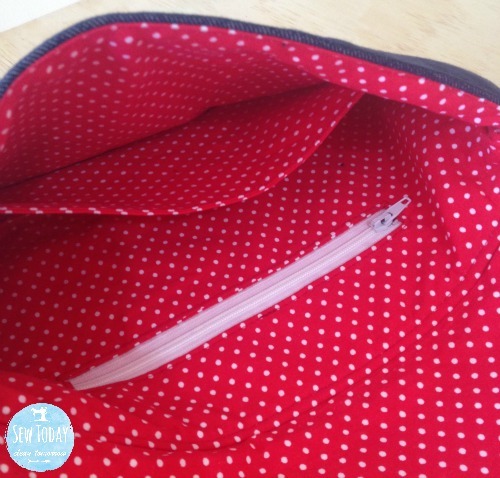 Check out all that fabulous pocket space!!! One zipper pocket this side, plus a concealed pocket at the top. ...and enough space in the bag itself for beach towels, drink bottles, lunch, and all the other bits and pieces you find yourself lugging to the beach. 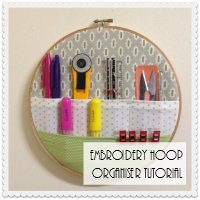 There is even a nifty divider to help keep everything organised. All of this in one bag!!!!! Of course, all of these features are completely optional but I couldn't help myself and make everything available in the pattern. 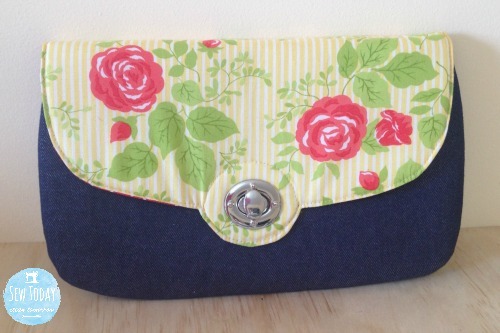 I think this will make a fantastic sewing retreat bag. 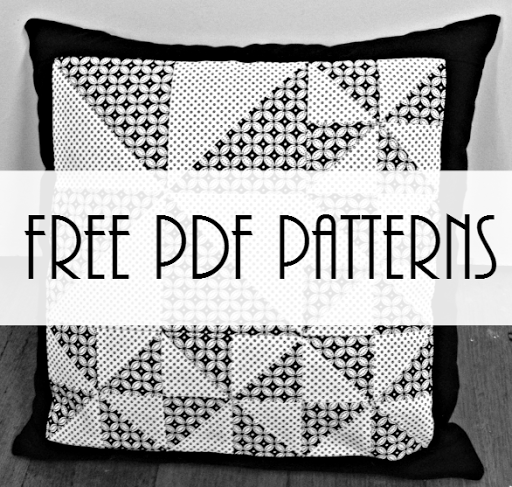 I was lucky enough to test this pattern and can tell you know, it's every bit as wonderful as Lisa's other patterns. 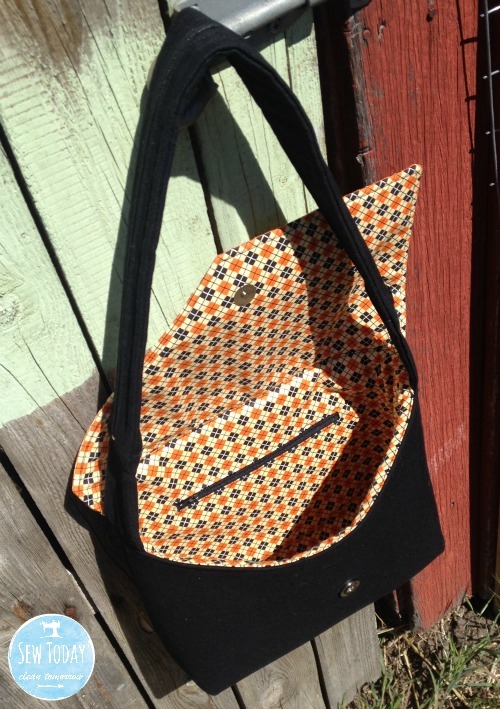 I won't lie, she's a BIG bag but, if you follow the pattern, she's actually a relatively easy sew. As always Lisa has provided clear and concise written instructions and photos to help you every step of the way. 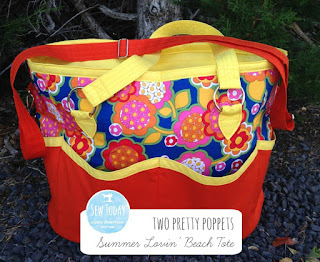 Head on over to the two pretty poppets Facebook page to see more. The Summer Lovin' Beach Tote is available through the two pretty poppets website. 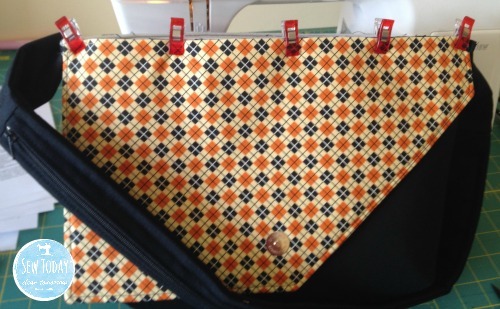 I purchased all of my hardware for this bag through Handbag Hardware Australia. Have you heard? 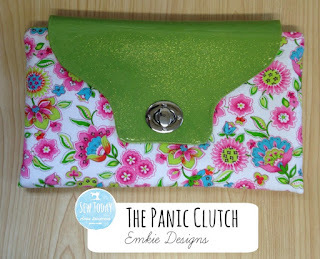 Emkie Designs has just release her latest pattern, the Panic Clutch, and I can tell you right now...it is fantastic. I'm not normally a clutch person but the simple, unique design of the Panic Clutch really caught my attention. I was so pleased when Emma selected me to join her test team. Tha Panic Clutch features a twist lock and zipper closure, with a simple internal slip pocket. This is such a sweet sew that I barely had time to finish my bag of customary sewing M&M's before my first clutch was complete. 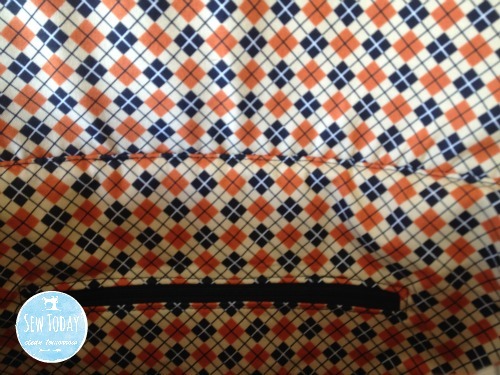 Check out the insane, and completely accidental, pattern matching!!! Or an elegant evening affair. 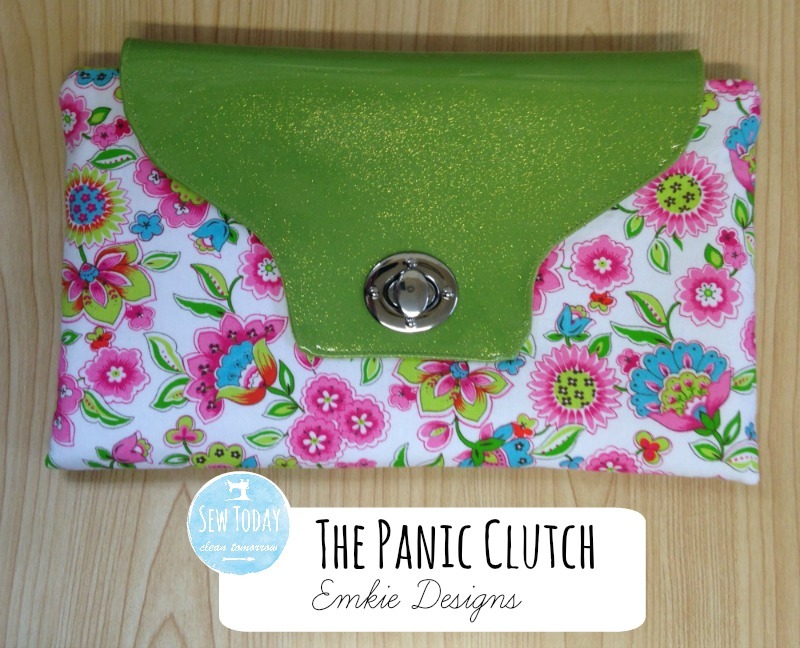 The Panic Clutch pattern is available from Etsy, Craftsy and the Emkie Designs blog for $10.95 (AUD). 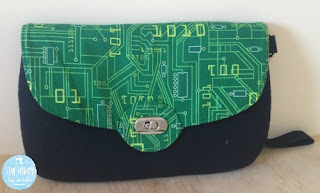 Emma has been kind enough to also offer my lucky readers a 15% discount for The Panic Clutch pattern from her Etsy store. 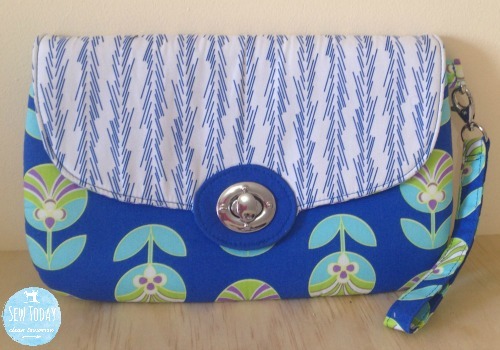 Just use the code SEWTODAYPANICLOVE (code valid until February 6, 2016 in her Etsy store only). What is Stand Up Swap 2016? Stand Up Swap 2016 is a casual, fun swap that Lisa and I thought would be a great way to kick of the new year. 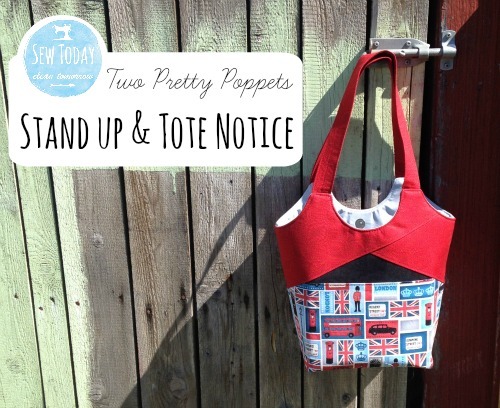 Each participant will make a two pretty poppets Stand Up and Tote Notice tote bag, size small, to be swapped with another member of the group. Note: The sign up due date has been extended due to the overwhelming response so far. Please ensure that you have submitted the form prior to uploading your completed bag photo. 29th March: Partners assigned and address details emailed. 6th April: Postage cut-off date. This swap will run slightly differently to others you may be familiar with. We will not be assigning partners until after the bags are finished. Instead of stressing over meeting your partners ‘likes’ perfectly, you simply need to make a bag that you think is awesome. Lisa and I will then pair up people to bags as best we can. 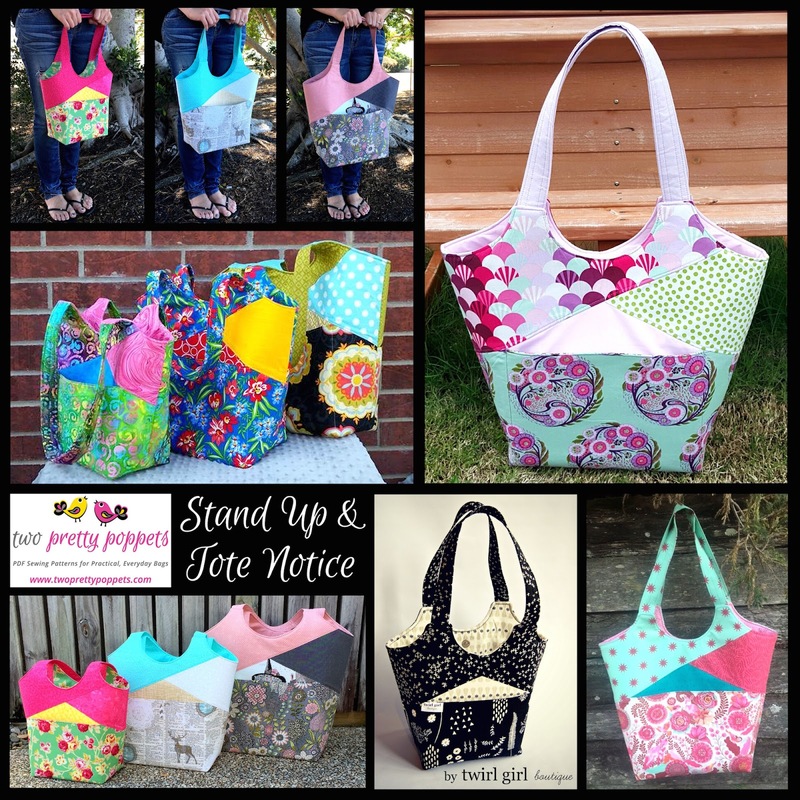 You must use the two prettypoppets Stand Up and Tote Notice tote bag pattern in a small size. In order for participants to know what to expect from their mystery bag, we ask that you stick to the pattern. 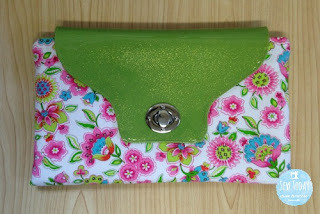 You are, however, welcome to switch out two of the internal slip pockets for an internal zip pocket if you wish. 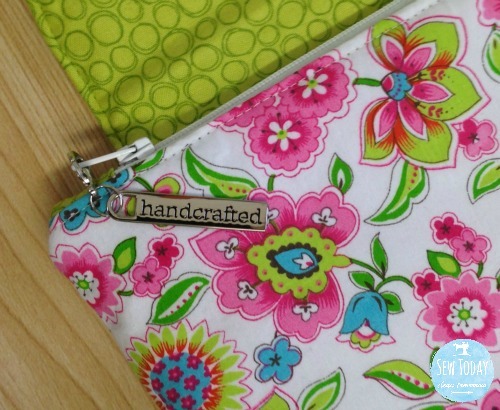 Your completed bag must be uploaded into the two pretty poppets PDF Sewing Patterns Facebook Group folder by March 24, 2016. Only those bags in the folder will be considered as part of the swap. Your bag must be of the high standard you would hope to receive in return. 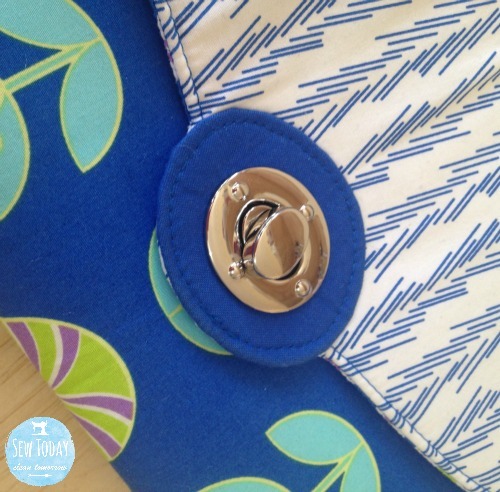 This includes using quality fabric, interfacing and hardware. Please be aware, however, that participants will be of different skill levels and you may receive a bag from someone more, or less, experienced than yourself. 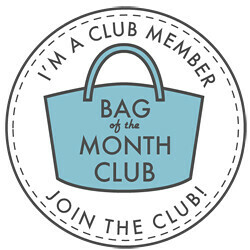 You are welcome to share photos of your bag on social media. Nobody knows where your bag is going so it will still be a welcome surprise. When sharing, be sure to use the hashtag #standupswap2016 so we can all follow along. This is an international swap open to any skill level. We welcome beginners and experienced alike. If you are unfamiliar with the Stand Up and Tote Notice tote bag pattern then you can ask all the questions you need in the two pretty poppets PDF Sewing Patterns Facebook Group. Please be aware that you may be required to post your bag internationally. We will do our best to keep postage within your country but it all depends on who is participating. If this is an issue, be sure to let us know on the sign up form. 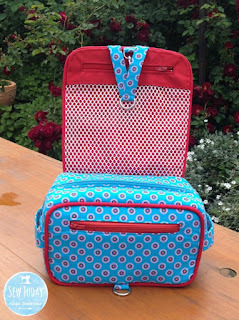 To sign up to the swap you will need to join the two pretty poppets PDF Sewing Patterns Facebook Group. There you will find a form you need to complete. The cut-off date for sign up is 31 January 2016. It's 2016 and what better way to start the year than a One Thimble blog hop? Let's face it, it just wouldn't be me if I didn't join in. 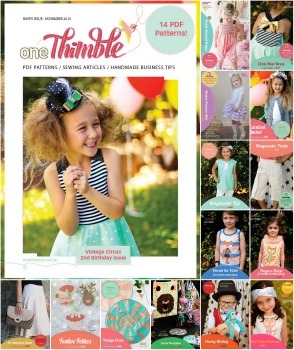 This issue of One Thimble was filled to the brim with some fantastic patterns and normally, when I sign up to the blog hop, I am happy to sew anything at all. 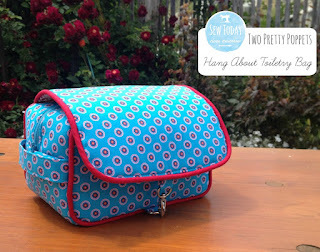 This time however, I was determined to sew the latest pattern from my big girl designer crush, Two Pretty Poppets. I know, I know...again!!! 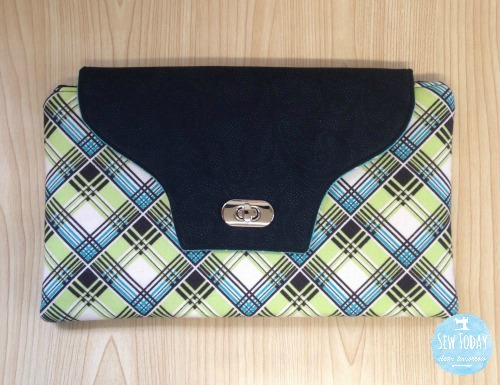 The Statement Clutch is such a brilliant project. It's cute, it's classy, it's easy, it's fun...and you learn all the best swear words if you've never installed a twist lock before. Don't let that put you off though. Once you've done one you'll be twist locking everything you can get your hands on. They're seriously cool to play with and definitely worth the effort. 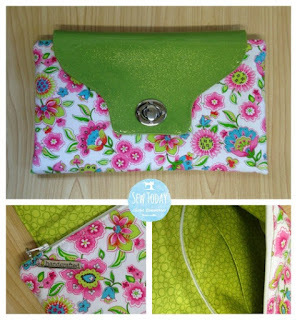 Emmaline Bags has a great tutorial. 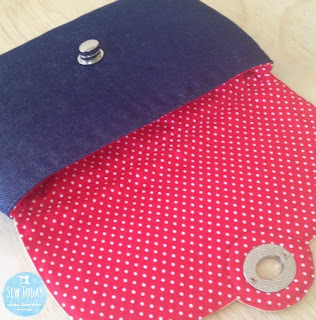 You don't need oodles of fabric either, which is fantastic if you're trying to sew from your stash as I have been. 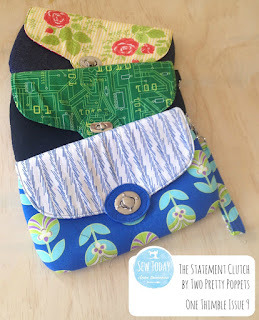 Each of these used scraps or fat quarters. Pretty sweet. The pattern comes with a standard pocket, but I added a zip pocket for hiding all of my important secrets (ok, ok...chocolate). I added zip pocket to this, alongside the pocket that comes with the pattern. 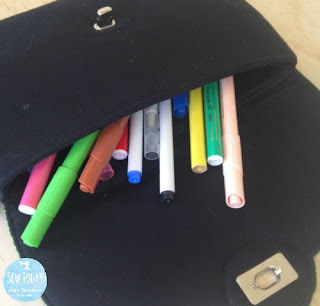 ...apparently they make great pencil cases (according to my four year old). 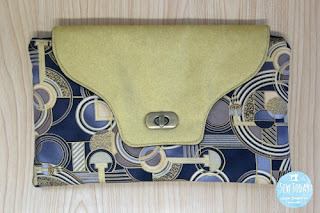 The gorgeous hardware you see on my clutches is from the lovely Kylie at Handbag Hardware Australia. She even makes it easy for you and has a pre-packaged kit so you don't have to worry about whether or not you ordered the right parts. Don't forget to visit these other great bloggers during the week to see the One Thimble awesomeness they've been up to. 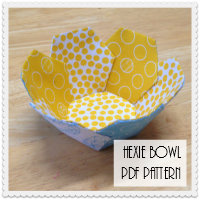 Please note that this blog post contains affiliate links for One Thimble. If you purchase a One Thimble e-zine (not individual patterns) from a link from this site then I will receive a small commission. Can you believe it's nearly 2016 already? I'm sure I only just set my 2015 resolutions??? What a year it's been here at Sew Today, Clean Tomorrow. I learnt an enormous amount about sewing, quilting and the crafting world in general. 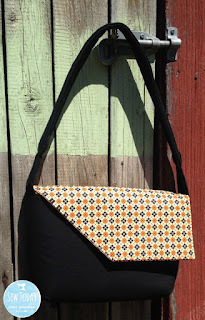 I taught a bag making class (hopefully not the last) and even had a pattern in the fantastic digital magazine One Thimble. Most of all I had a wonderful time working with some great friends, both new and old. 2016 looks to be just as successful...though perhaps a little different. On the home front, we are charging forward with renovations and hope to have made a lot more progress on our beautiful, though rather rundown home. 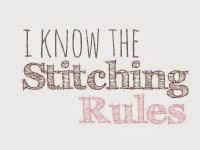 It may mean less time sewing, but there is certainly a lot of creating going on. I'm pretty sure I finished this bad boy at the start of 2015. Now to just get it quilted. 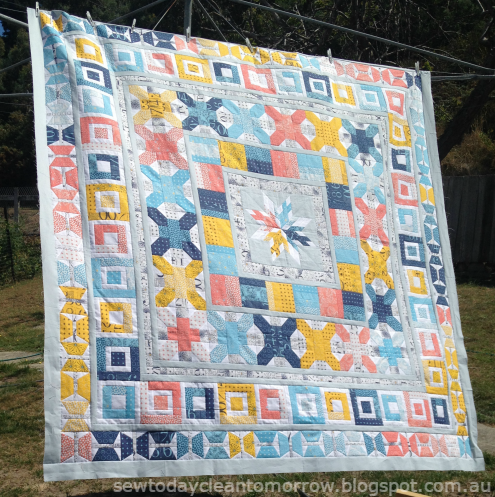 What will be happening for Sew Today, Clean Tomorrow? I have a few blog posts planned over the coming weeks, but things will be somewhat quiet for the first half of the year. While there are many ideas brewing in my mind, I'm planning on taking it easy for a while and just pottering around the house, doing whatever it is that takes my fancy. I will, however, be working hard on a new project that I hope to announce in the coming months. As always, I will be sharing loads of photos on Facebook and Instagram so be sure to follow me there. A cushion using the Molly and Mama Percy Pineapple Applique Pattern. To end, I'd like to send a huge thank you to each and every one of you for your ongoing support. Alongside the achievements I mentioned above, my Craftsy patterns have now been downloaded close to 48000 times!!!! That's about 47500 more downloads than I ever imagined...all because of you. My number 1 download: Easy Christmas Table Runner. 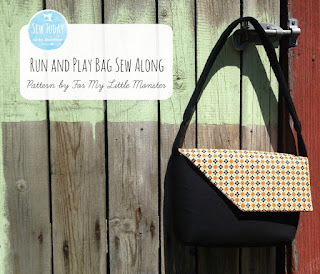 Today is the final day of the Run and Play Bag Sew-Along. Here are the links for previous posts and don’t forget to check out the competition details for your chance to be in the running for some fantastic prizes. 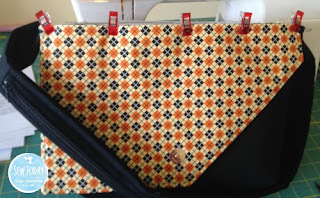 Constructing your bag is easy, especially if you follow the great instructions Emma has provided in the pattern. Here are a few extra hints to help you with your beautiful creation. Baste the handles and flap in place before sewing the final seam. It can be tempting to skip this step and just try to pin all of the layers together, but that can be both messy and confusing. Trust me, it’s worth the extra time. Take note of which side the magnetic snap is on the exterior and be sure to position the flap on the opposite side. Likewise, check that your flap is facing the right way before basting it on. I like to pin it in place, and then snap the flap closed to be doubly sure everything is sitting where it should be. Check where the internal pocket is on the lining. I like my pocket to be on the same side as the flap (i.e. the back of the bag). Take the time to smooth out the raw edges, making sure everything is lining up neatly. Once your bag is sewn and turned the right away around, push out the corners of both the external and interior bag, and make sure everything is sitting correctly, before closing the turning gap. 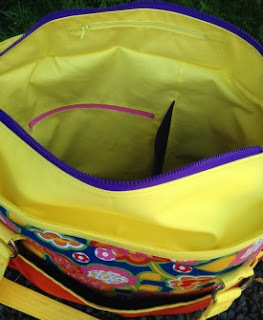 When top stitching, take note of where your flap and handles are. I like to keep them under the arm/throat of the machine with the main body of the bag on the other side of the needle (i.e. have the flap open). If you have them both on the same side, you may end up accidentally top stitching them down. 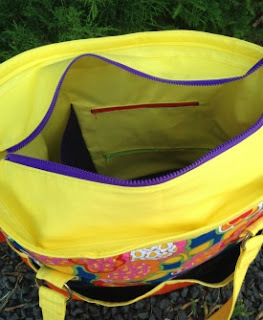 Finally, give your bag a good press to help it recover from all the prodding and poking it has been through. HOORAY. You are now the proud owner of a gorgeous new bag. 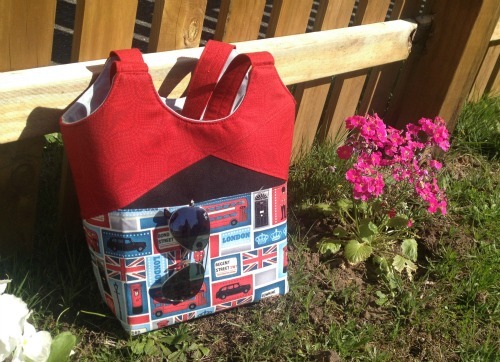 Remember to check out all of the competition details Run and Play Bag Sew-Along Introduction and Competition to be in the running for some wonderful prizes. I can’t wait to see your creation in the Facebook group 2 Ladybugs, 4 Little Monsters and a Pattern Lover Group or on Instragram using the hashtag #runandplaysal (or #runandplaysalentry For your competition entry). 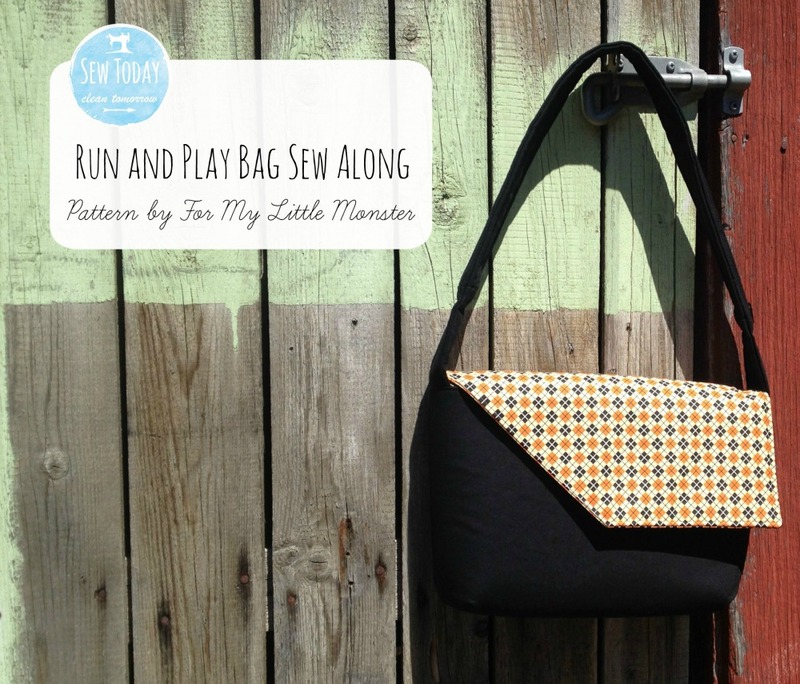 Thanks so much for joining me for the Run and Play Bag Sew-Along. I hope you enjoyed it as much as I did. 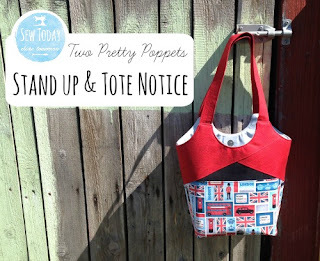 You may remember a few weeks ago I reviewed the Stand Up and Tote Notice pattern from Two Pretty Poppets. I have been carrying this bag everywhere and it is every bit as awesome as I thought it was going to be. Seriously, if you haven’t made one yet….DO IT!!! Everybody needs this bag. Needless to say, when Lisa asked me to review her Hang About Toiletry Bag, I couldn’t say ‘Yes’ fast enough. This pattern is a little more complex than what I’ve dealt with in the past, but Lisa’s instructions were so clear that I had no issues at all. I will admit, my machine had a little hissy fit, but that is because she’s due for a service and no fault at all of the bag or pattern. The pattern is as wonderful as the last. Clear, concise instructions with great photos showing you each step in detail. It is listed as an Intermediate level and I think that is a fairly accurate assessment. It wasn’t difficult as such, but there were a few sections that might be frustrating for an absolute beginner. Of course, that doesn’t mean you shouldn’t jump in and give it a try (Hey, I did!) 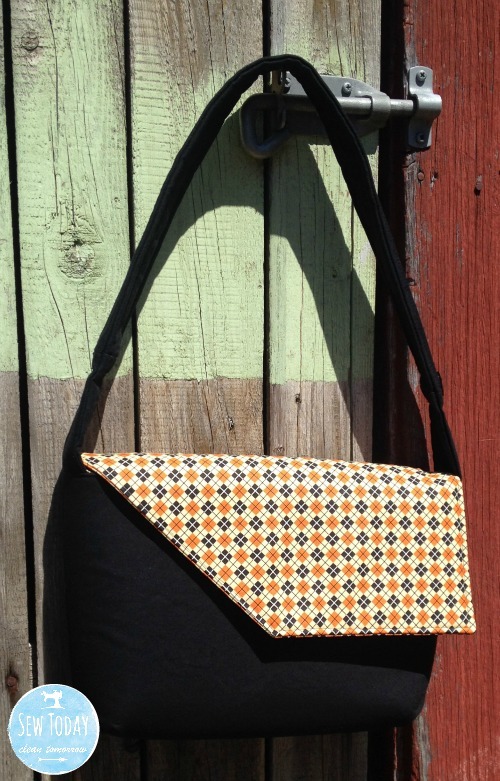 but be prepared for something beyond your standard tote bag with a bottom and two side seams. 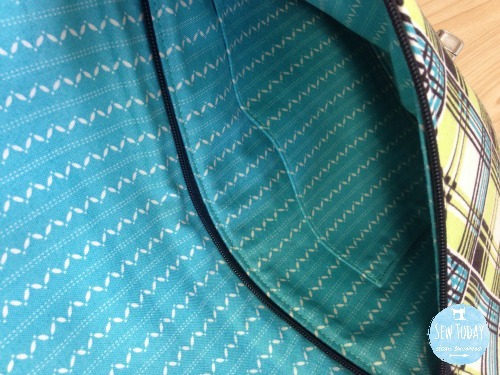 The bag itself is just as awesome as the pattern. I made the small and it is perfect for us. 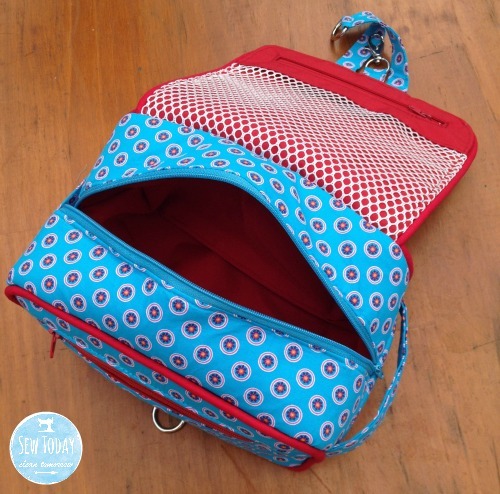 It has a great mesh pocket in the lid, with the snazzy little hook to hang it over a door handle or towel rail (I love this feature). ...and the main compartment is a terrific size for storing all your toiletry needs. I can’t wait to take this on holidays with us. In fact, I see me making a few for Christmas gifts too. Keep an eye on the Two Pretty Poppets Facebook page and blog for the Hang About Toiletry Bag Sew Along due to start next week. 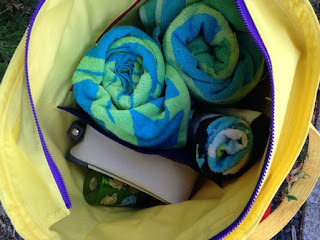 I hope to see you there as I tackle my second toiletry bag. 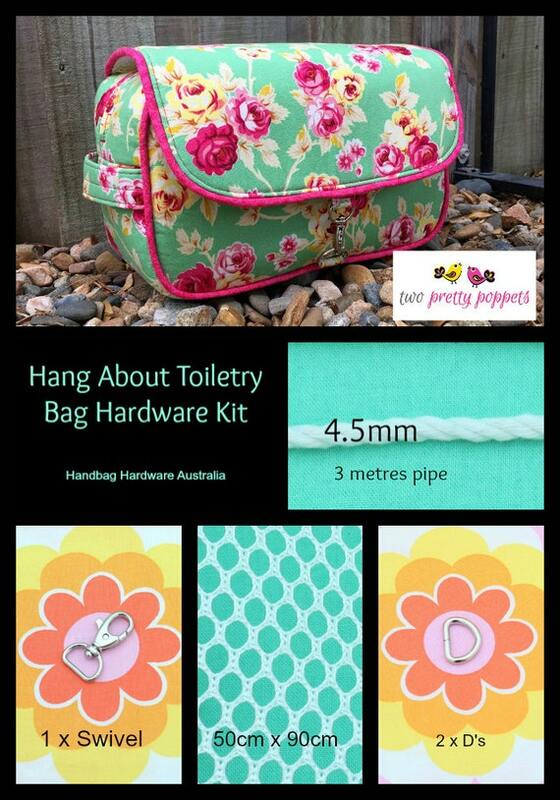 If you're looking for the hardware for your toiletry bag (or some of the other great Two Pretty Poppets bags) be sure to check out Handbag Hardware Australia. They have a terrific range of high quality kits available that have been put together specifically for these patterns. 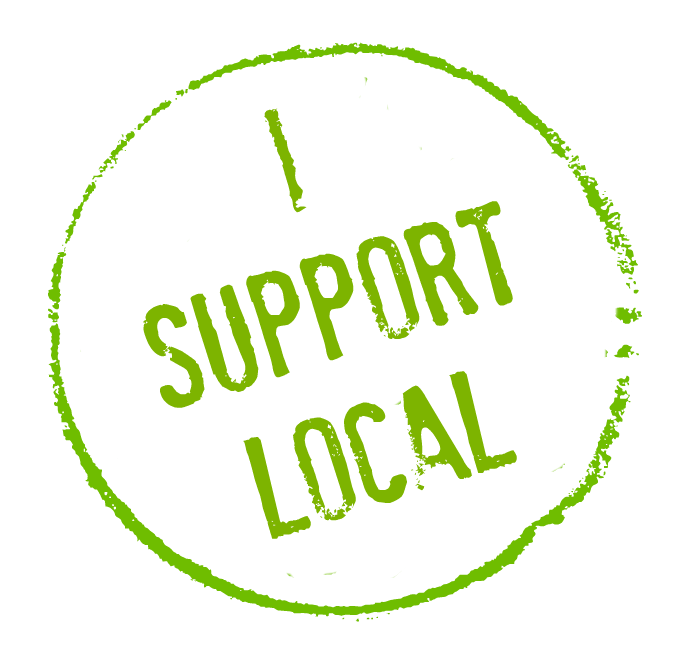 They're also wonderful supporters of Australian business and I can't recommend them highly enough. You can find their Aussie designer kits here: Handbag Hardware Australia: Aussie Designer Kits and their main store here: Handbag Hardware Australia. How seriously awesome is this kit!! !